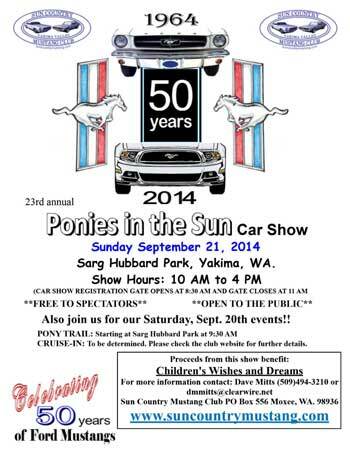 Benefits Children's Wishes & Dreams and an Automotive Scholarship for a student at Yakima Valley College. 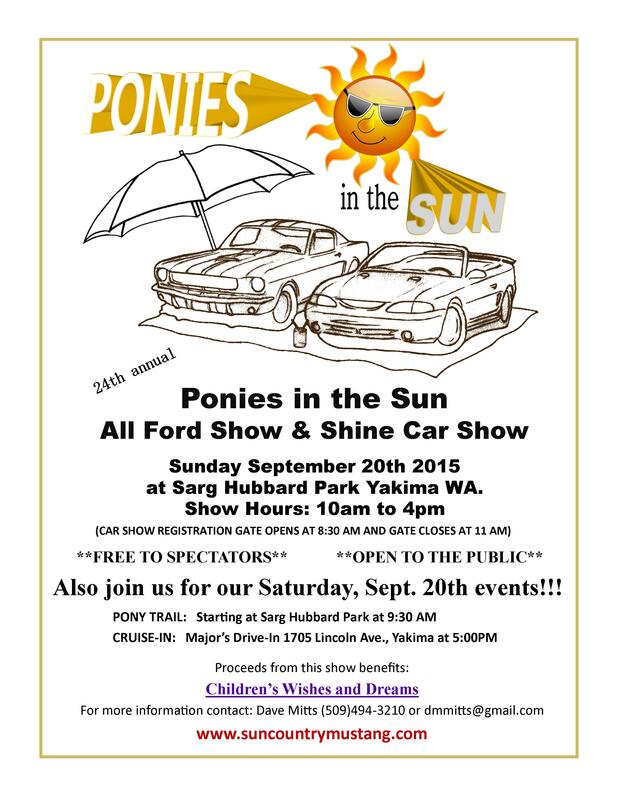 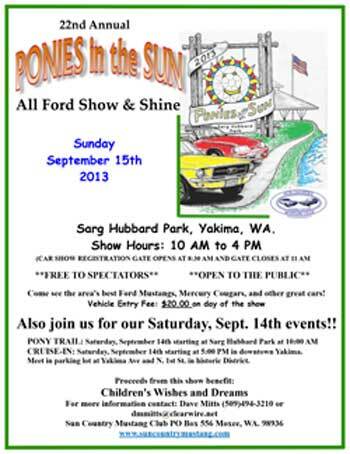 PONY TRAIL: Saturday, September 15th starting at Sarg Hubbard Park at 9:30 AM (no charge for the pony trails). 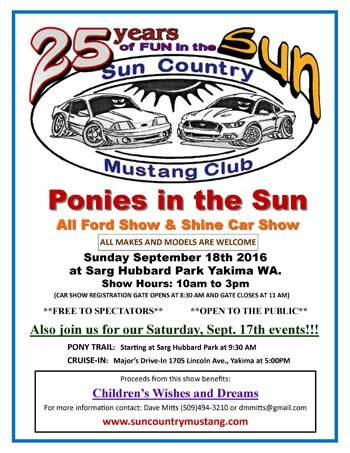 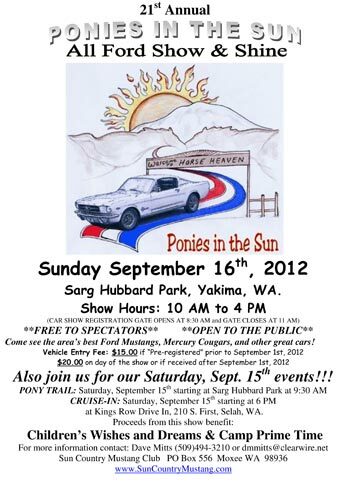 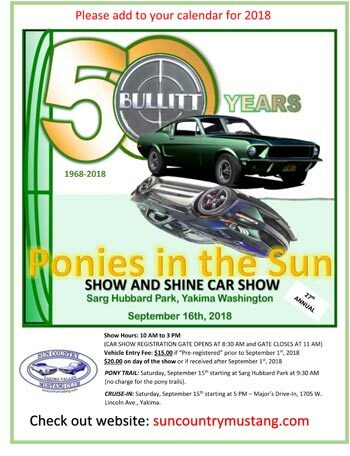 CRUISE-IN: Saturday, September 15th starting at 5 PM – Major’s Drive-In, 1705 W. Lincoln Ave., Yakima. 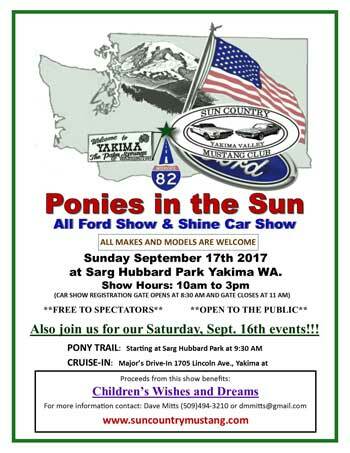 During show registration a donation of at least one non-perishable food item will make you eligible for a special door prize. 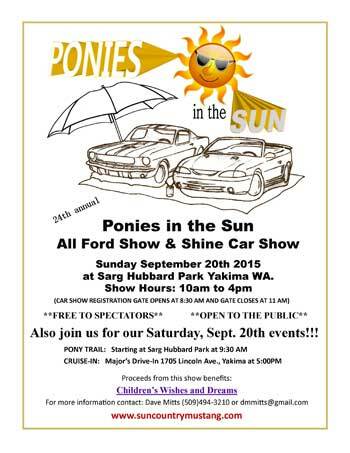 The donated food will be distributed to Yakima area food banks.